How to Play iTunes Movies on Xbox? Developed by Microsoft, Xbox series including the original Xbox, Xbox 360, Xbox One, and Xbox One S is one of the best game consoles. Besides being a game console, Xbox can be regarded as a media player to play all kinds of media files, including iTunes movies. As iTunes videos (movies and TV shows) are protected by Apple’s Fairplay DRM technique, it is impossible to directly play iTunes movies on Xbox 360 or Xbox One. Before streaming iTunes DRM to Xbox, we need to convert iTunes M4V movies to Xbox with the help an iTunes to Xbox converter. As is mentioned in the very beginning, there is failure occurring when trying to import iTunes videos into Xbox. Why is that? I bet most of you must have heard of Apple’s Digital Rights Management, abbreviated as DRM, which is a copy-right protection method widely used by Apple to protect media files. iTunes videos including iTunes movies and iTunes TV Shows are contained in M4V video format, and iTunes M4V videos are encrypted with DRM protection, which limits the ways of playing iTunes videos. In other words, iTunes videos can only be played on Apple devices/players such as iPhone, iPad, iPod, Apple TV, iTunes, etc. while they are not allowed to be directly played on non-Apple devices or players. However, it does not mean we cannot play back iTunes videos on other devices like Xbox. After we remove DRM protection from iTunes videos and convert iTunes M4V videos to Xbox video, we can smoothly play back iTunes videos on Xbox. To remove DRM protection from iTunes videos and convert iTunes M4V videos to Xbox video, you need to make use of a professional iTunes to Xbox converter. The iTunes to Xbox converter I am going to recommend here is not only an iTunes DRM media converter, but an iTunes DRM removal. The name of the converter is Leawo TunesCopy. Leawo TunesCopy accepts iTunes M4V videos as input and outputs common MP4 video files that are compatible with Xbox, thus Leawo TunesCopy can play the role of a professional iTunes to Xbox converter. People will find Leawo TunesCopy easy to use as the User Interface of the program is user-friendly. The program has support for multilanguage, thus people can freely set the language of UI to suit different needs. After iTunes M4V videos files are imported, people can freely choose subtitles and audio tracks for keeping in the output file. All subtitles and audio tracks including Dolby 5.1 Surround Sound can be 100% preserved. The program can achieve real 1:1 input to output iTunes DRM removal. Without the need to decode and encode video, the professional iTunes to Xbox converter is extremely fast in removing DRM from iTunes videos and converting iTunes M4V to MP4. According to Leawo Software, Leawo TunesCopy is 50 times faster in removing iTunes DRM, which saves you great time and energy. Download and install Leawo TunesCopy on your computer, and kick off the program to get ready for iTunes DRM removal process. With Leawo TunesCopy running on your PC, you can start to convert iTunes M4V movies to Xbox MP4 by following the step-by-step guide below. On the main interface of TunesCopy, you can click “Add Files” button on the sub-menu bar or “Add Files” button in the middle of program interface to browse and choose iTunes DRM M4V videos in the pop-up “Add Files” panel. Choose at least one iTunes M4V video and click “Add” to begin importing iTunes M4V video into TunesCopy. TunesCopy allows you to import all files at a single time by clicking “Add All” button. After importing iTunes DRM M4V videos into TunesCopy, you can choose one file and click “Remove” button to remove the file from the list. The “Clear” button on the sub-menu bar is designed for removing all files in the list at one go. Before removing DRM from iTunes M4V, you can choose a file and click “Edit” button to freely choose audio tracks and subtitles for keeping in the output MP4 video file. Click the blue “Convert” button at the bottom for removing DRM from iTunes M4V and converting to Xbox MP4 video. After a while, the iTunes DRM removal and conversion process will be completed. 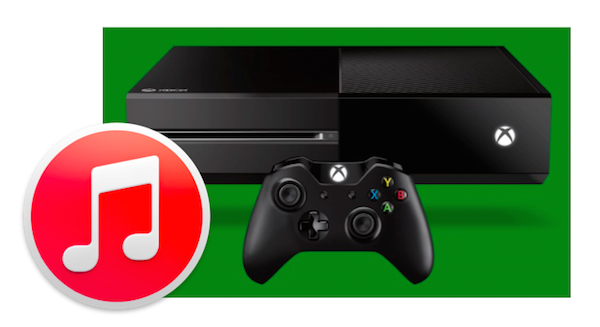 After DRM is removed, you need to transfer converted video file to your Xbox. Before you start to stream converted files from PC to Xbox, make sure that your Xbox and computer are in the same network. First access the “Setting” menu on your Xbox One. From there, find the “Preferences” option and make sure “Play To” is enabled. 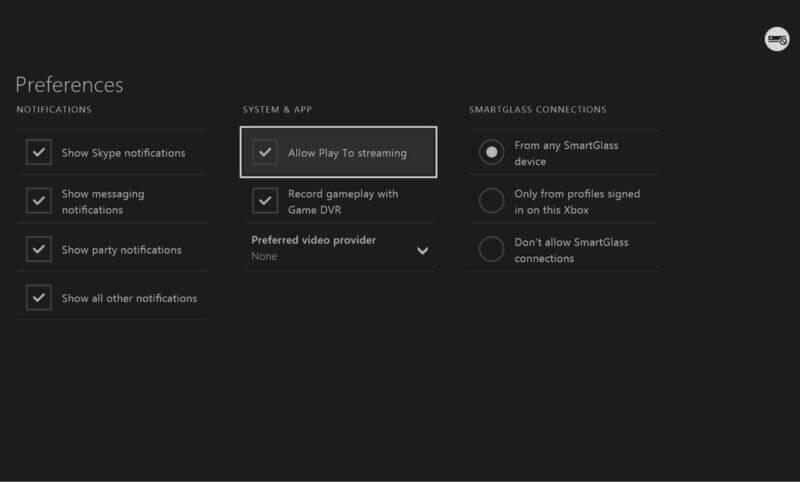 Now you can use this “Play To” feature to easily stream your video to Xbox.